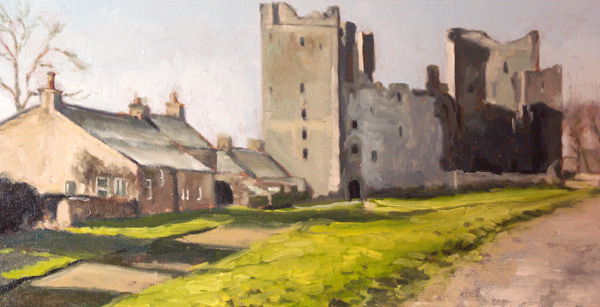 Here are paintings which will be on show at Dundonald Castle Visitor Centre, from Saturday, September 29. 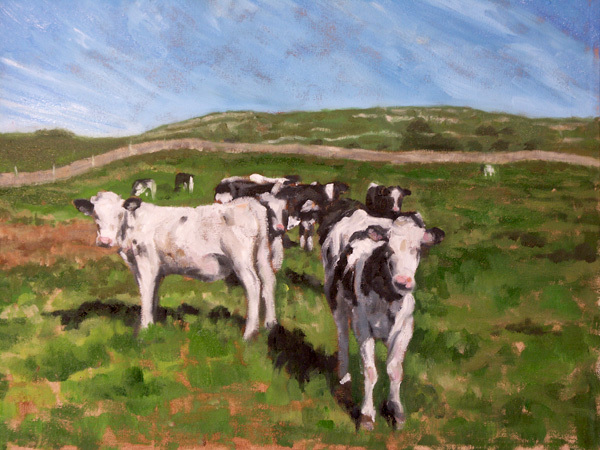 Above: Heifers on the Fellside, Wensleydale. 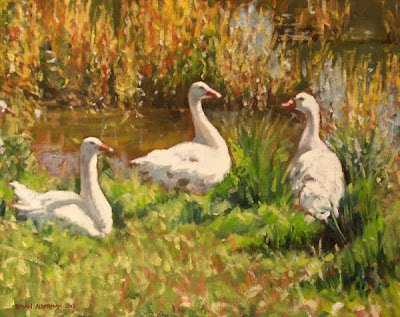 Geese in sunlight. Carperby pond. 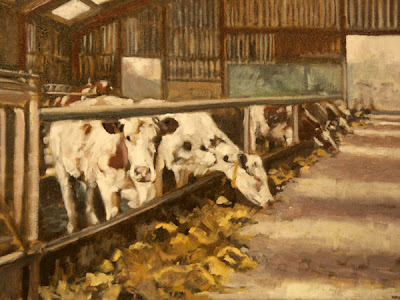 In the byre at Raygill Farm, Hawes. 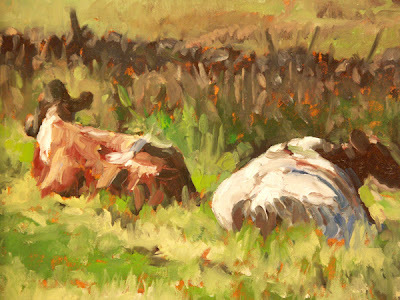 Two cows resting in a field. Bolton Castle from the Green. Morning sunlight.